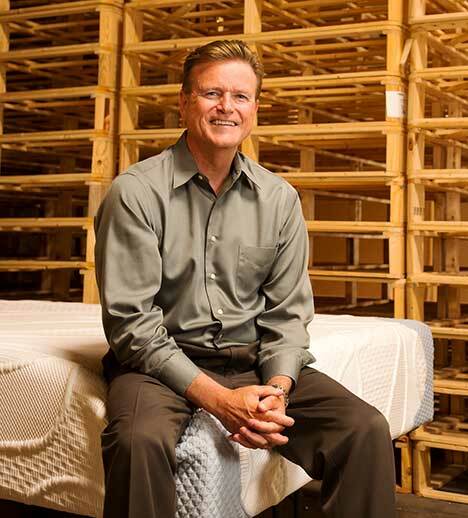 Boyd Sleep was founded in 1977 by Dennis Boyd, a well-respected pioneer in the specialty sleep industry. For 40 years we have proudly dedicated ourselves to improving the quality of your sleep by developing and manufacturing high quality, innovative and exceptionally comfortable sleep systems. Our impressive list of over 30 US patents, with more pending, all pertaining to improving the design and function of unique specialty sleep products is solid proof of our dedication to providing you with a better night’s sleep. Our products range from promotional bedding to ultra-premium sleep solutions that feature the most inventive state-of-the-art technologies available. It is our undeniable dedication to delivering a better night’s sleep to all that makes a Boyd Sleep product your best choice when searching for an exceptional sleep system. Boyd Sleep is the only company in the industry to offer ALL the major types of specialty bedding in our line up. These include waterbeds, air beds, latex beds, memory foam beds, innerspring beds and hybrid beds that combine two or more of these components. We also offer a full line of temporary sleep solutions that your family and friends can enjoy. Rounding out our complete specialty sleep collection of products are the latest designs in Platform Beds, Bed Frames and Sleep Accessories. We dedicate an equal amount of our time and resources to every category that carries our brand. Boyd Sleep is honored to be the only company in the industry to be recognized as both Manufacturer of the Year and Retailer of the Year by the Specialty Sleep Association. With the recent increase in boutique on-line mattress retailers, you may wonder what makes us different. For starters we are not a start-up company. Secondly, we do not operate solely online. Boyd has been in the specialty sleep business since 1977. We have decades of experience and have sold millions of mattresses in that time. While other online mattress retailers may come and go, Boyd is an established and well respected industry leader. We have spent years developing and perfecting the sleep systems that we are offering for sale today. When you trust your mattress purchase to Boyd Sleep you can rest assured that you are buying from a reliable, experienced mattress manufacturer.